Public housing in the form of complete or partial neighborhoods started with HOPE VI, transforming the lives of people across America. 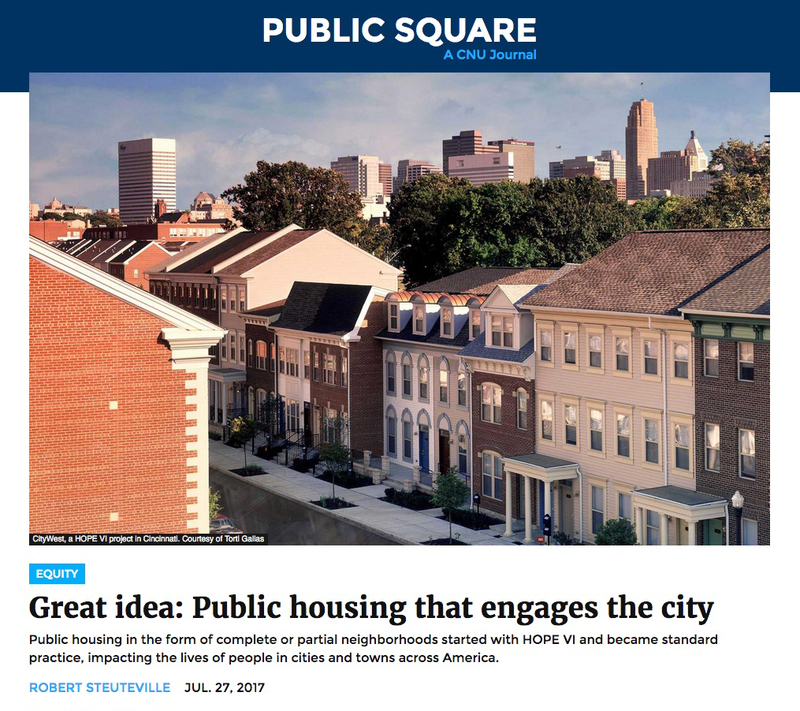 Torti Gallas principal Murphy Antoine and Dan Solomon, principal of Mithun/Solomon, were interviewed for the CNU Journal Public Square.Their article discusses public housing that engages the city, as well as current and future trends in low-income housing design. The article is part of Public Square's running series 25 Great Ideas of the New Urbanism, celebrating the 25th Congress for the New Urbanism. Click on the link below to read "Great Idea: Public Housing that Engages the City".